Sidewalk Repairs: What Still Needs to Be Fixed? 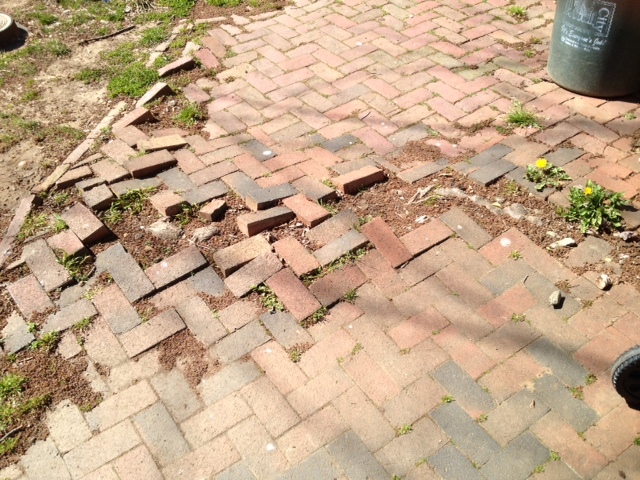 The poor condition of the brick sidewalk on the 1600 block of G Street SE. Over the past month, the city has been repairing sidewalks around the neighborhood to ensure that they comply with the Americans with Disabilities Act regulations. Most of the repair work has focused on installing new ramps at intersections, though crews did replace a significant amount of the brick sidewalks on the 300, 400 and 500 blocks of 15th Street SE and the 1500 block of E Street SE. While I’m pleased that a significant amount of repair work has been completed, there are still a number of sidewalks that need to be replaced. One good example is the brick sidewalk on the southside of the 1600 block of G Street SE (pictured). Another example is concrete sidewalk on the 800 block of 17th Street SE. This weekend, I plan to document the remaining sidewalks that need repair in my Single Member District. If your sidewalk is in need of repair, please post the location below. You can also e-mail me at brianf6b09@anc6b.org. I’ll submit the requests to the District Department of Transportation next week. This entry was posted on Friday, April 6th, 2012 at 4:15 pm and is filed under Uncategorized. You can follow any responses to this entry through the RSS 2.0 feed. You can leave a response, or trackback from your own site.